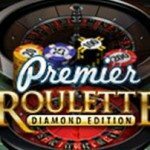 Live Roulette Up to £200, 100% Deposit Match Bonus! The big wins and the fast paced action are just some of the reasons that make casinos the world over such exciting places for us to go and spend our time and there’s few better games out there that can give you your fix of that than Roulette! But even better than the classic game of Roulette is Live Roulette which keeps all the fun and excitement of the original game but makes things a whole lot more convenient. What you get with live Roulette is the exact same experience you’d get at your normal live casino but from the comforts of your own home. 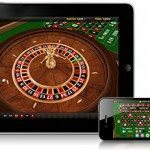 The way live Roulette is set up is by offering players a livestream feed of a Roulette table which will have a dealer there to play out your games for you. Everything you see and hear from the stream will be what’s happening in actual real time and you can even chat along with the dealer as you play to create the ultimate gaming experience! Now if this all sounds well and good to you we’re sure you’ll be just as pleased to hear playing the actual games is incredibly simple to do and even someone with no prior online casino knowledge would be able to suss it all out relatively quickly! Things start off easy as every single major casino will offer plenty of live Roulette tables on their site so you don’t need to worry too much about the one you pick – the place offering the best bonus and most stylish looks will do the job quite nicely. If you can find a site offering a no deposit bonus as part of their welcome package then that would be even better as then you’ll be able to play a few games to get used to the site before spending any of your own money! 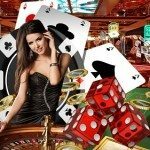 When you’re on your chosen site you’ll want to head on over to the live casino section of the site which you can do simply by clicking on the “live casino” tab. Here you’ll be met with a whole bunch of dealers as well as plenty of Roulette tables. There will be a bunch of variations of the classic Roulette game for you to choose from as well as a couple of dealers offering just classic Roulette. When you’ve made your selection the livestream will pop up and the fun can begin. Along with the table and the dealer you’ll also notice a stack of chips at the table and these are what you’ll use to bet with. Click on the chip you wish to bet with and then click once more on the table where you’d like to place that chip and just like in an actual table when the dealer calls no more bets your bets will be locked in. There’s a timer telling you how long you’ve got left to place all your bets though so you won’t need to worry about running out of time. To go with this there’s also a bunch of additional features such as a repeat bet button which saves you the hassle of placing all your chips out each and every turn, a double bet button which doubles every chip you’ve placed so far, a cancel last bet which removes the last chip you’ve placed, and finally a cancel all bets button which removes all the chips from the table. If you’re a big fan of Roulette then we’re absolutely sure you’ll be head over heels with live Roulette as you get the same action packed and exciting game you’re used to play…but with the comfort of playing at a time and place that’s convenient for you!